Hello from the sunny and warm Baltic Sea! As you have gathered we have a sea day today before our call in St Petersburg, Russia, tomorrow and the weather at present is absolutely perfect! Warm and sunny and the open decks are alive with people enjoying the summer weather. 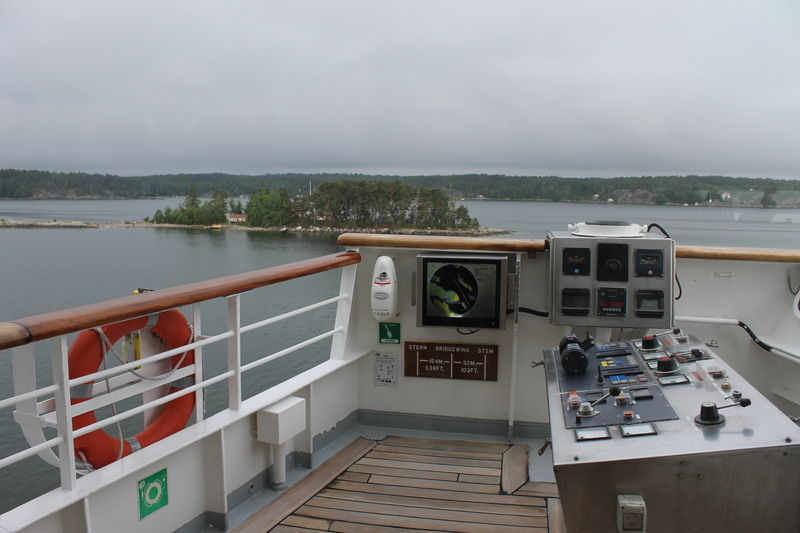 Since my last check-in with you all, we have had two sea days and visited Kiel and Travemunde in Germany and Stockholm in Sweden. In Kiel I enjoyed the atmosphere of Kiel Week, I watched the tall ships sail before leaving the ship and heading in to town to explore. There were plenty of shops to browse and a rather tasty International Food Market. The smells from all the different food stalls were amazing, I could have eaten everything! I wandered for a few hours before deciding to head back to the ship as I was convinced it was going to rain and it did! I made it back to the ship with just seconds to spare before the heavens opened and the thunder and lightning rolled in. 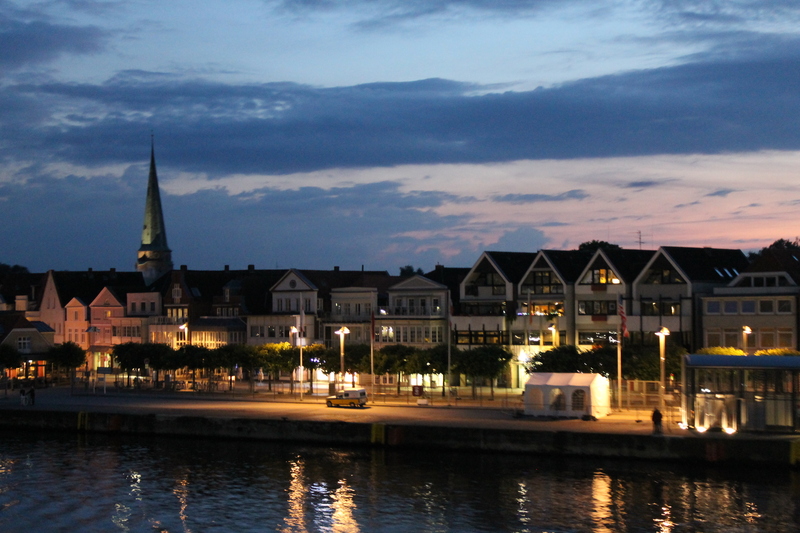 The festivities in Kiel went on late into the evening, we didn’t sail until 11pm that night and it was still buzzing shoreside as we sounded our horn and pushed away from our berth. It was absolutely brilliant! In Travemunde the Shanty Festival was taking place, so again there was a lot of live music, food stalls and plenty of visitors and locals soaking up the atmosphere. I have to say I really liked Travemunde, I am sure my experience was enhanced by the festival but I was more than content walking along the shore front taking pictures, sampling some of the local food and just generally enjoying everything that was going on around me. One thing I did notice in both German ports were the jellyfish! There were thousands of them! I wouldn’t like to dip my foot in the water that’s for sure. We berthed just outside of town in Travemunde but a free shuttle bus service was in operation, it was quick and I only waited 10-minutes for a bus back to the ship. Several people commented on how efficient the service was and I would have to agree. Stockholm was absolutely wonderful and I was incredibly fortunate to sail through the Swedish Archipelago on Braemar’s bridge! It was an invitation I could not refuse and one I will remember for the rest of my life. There are no words that could describe this experience, it was certainly one of a kind and it gave a whole new meaning to scenic cruising. It was an early start, 4:45am to be exact, but it was SO worth it! We passed some beautiful islands, spotted a playful seal and even the small island which gave birth to one of the ABBA four! 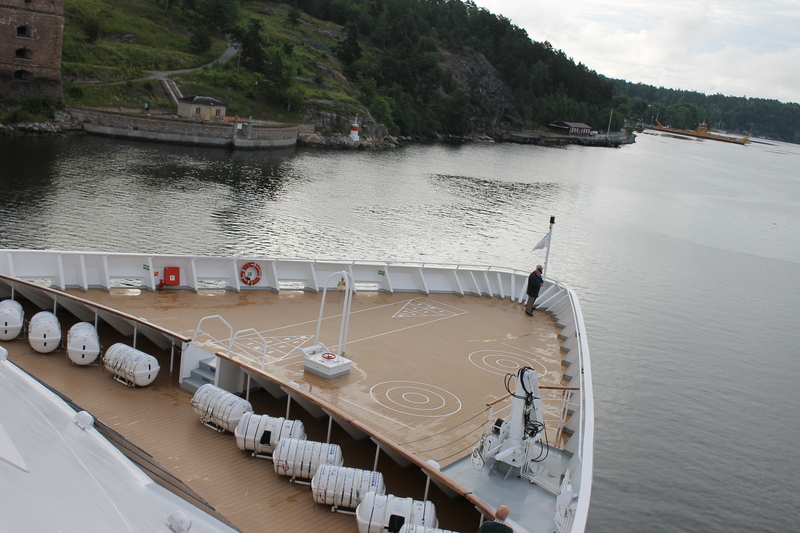 If you have never cruised the Baltic before I can’t stress to you enough how much you should consider it! In fact, very soon, I will give you a blog entirely of images of our journey through the Archipelago, it was one of those experiences that deserves its own title and you will be able to see for yourself just how incredible it was. I took hundreds of photographs and will share as many of them with you as I can. My pictures will still never do it justice, but maybe it will make you consider a Baltic trip in the future. I was told before boarding Braemar that a Baltic cruise was one of the best in the world and I 100% agree. Ashore in Stockholm I explored the city on foot and so far it is my favourite port. 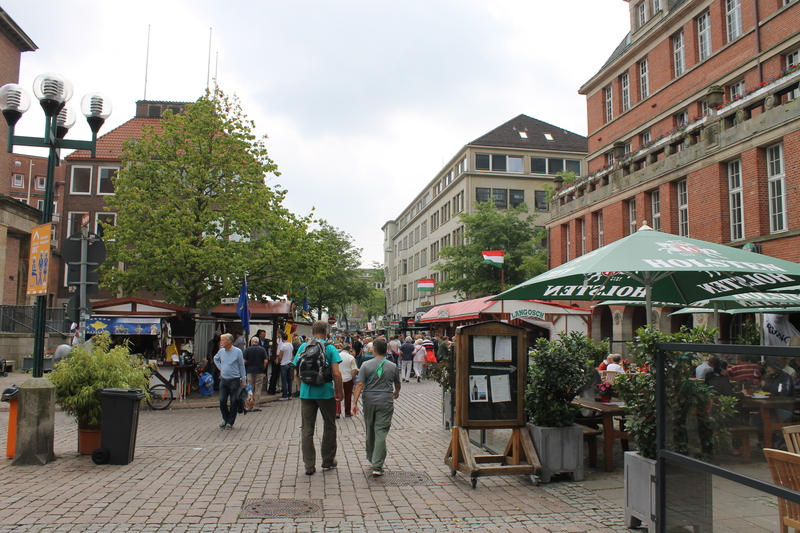 I walked from the ship into town and right along to the modern city centre. There were many shops and restaurants and several other ships in port so it was quite busy. From the main city centre I doubled back on myself and made my way towards the Old Town, in a word it was picturesque! 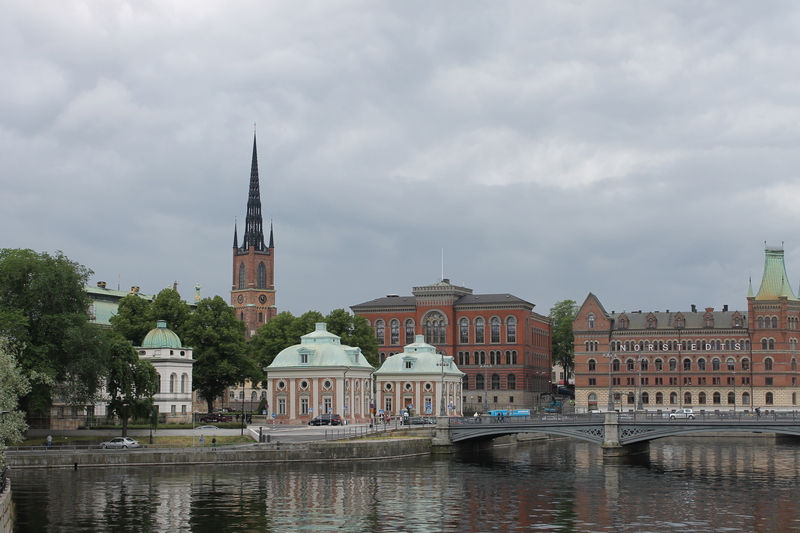 I passed the National Museum, the Royal Palace and many other buildings of interest. The weather wasn’t great during our call here but had it been less wet I would have stayed in the city a lot longer. The Old Town was definitely my favourite part, I love anything with a bit of rich history and it didn’t let me down. There were so many side streets – beautiful side streets too I might add – and they each led to all sorts of wonderful places. There was one main street of shops and restaurants but if you ventured off the beaten track a little you not only had some quiet time away from the other tourists but you had some great photo opportunities too! 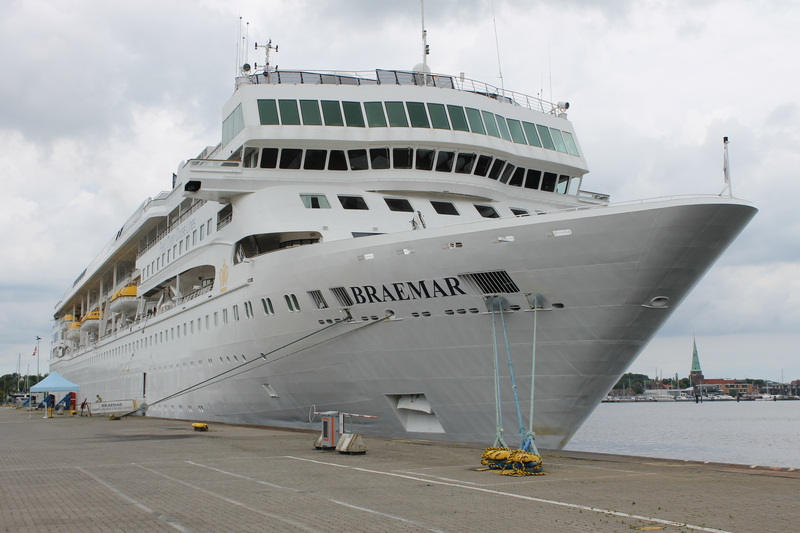 So, back to our stylish Braemar, I opted for a pizza for lunch on our last sea day from the Marquee Pool Bar. It was delicious. I like the fact that you can enjoy a burger and chips or pizza on deck without having to stand in a mile long queue. You simply find a table, note the number then place your order with one of the waiters on the deck. Another thing I noticed was that ice cream was being given out and at no extra charge! They are generous size scoops too and you can pick from vanilla or pistachio. I know my friend would enjoy the fact that the ice cream is free of charge! It’s often the little things that make the biggest difference on a cruise and Braemar is full of those little things. Take for example plug adaptors, usually you would have to go to the onboard shop and purchase one if you had forgotten to pack one before leaving – Not on Braemar! Reception have a box full of them and you are welcome to borrow one or two for the duration of the cruise. The food in the Grampian restaurant has certainly been consistent. I look forward to dining in there every evening and two evenings ago I went with the cream of potato and spinach soup as one of my five courses. It was absolutely delicious! I know it’s only soup but it really was moreish and as far as I am concerned a good bowl of soup is just as important as the main course. The pasta dishes are also very nice, lots of flavour, but I am definitely experiencing a soup addiction at the moment. We are in St Petersburg tomorrow and I am very much looking forward to it. Peterhof Palace and Church of the Spilled Blood are on my agenda. I have so many other things I want to share with you and pictures I want to show you, so I will go into more detail on several things very soon – including more information on Stockholm! Try to get down the underground and St Catherine’s Palace, which is beautiful. Also,the Hermitage.